Those in the window treatments industry as well as anyone who has purchased a window shade or blind are familiar with the ubiquitous warning labels affixed to the bottom of the product. Nobody loves having the label on their hem bar, but what those labels facilitate is more than worth the small annoyance. The basic design of many window blinds and shades has long featured cords to lift and raise the product. Though functional, the cords proved to be an unforseen hazard that came more and more clearly into focus. Children and pets were able to become entangled in a loop formed by the cord, resulting in tragic strangulation injuries and even deaths. The industry responded with ongoing efforts to improve the safety of corded window treatments and clearer labeling to warn consumers of the potential hazard. While these efforts have decreased the number of incidents, they have not eliminated them, so manufacturers have continued in earnest to make their products even safer for consumer to use in their homes and businesses. To this end, the newest and highly anticipated window covering child safety regulations go into effect December 15, 2018. This new standard was brought forward by the Window Covering Manufacturing Association (WCMA) in conjunction with the Consumer Product Safety Commission to continue the drive toward eliminating cases of injury, including strangulations, from window covering cords. With the new standard in place, it is estimated that 90% of the window coverings sold in the United States in 2019 will be cordless or have inaccessible operating cords. The other 10% will be corded window coverings that are required to meet strict performance specifications to ensure cords do not form a hazardous loop that can cause child injuries. Consumers shopping for new window treatments will see changes immediately, both in what they can purchase and where they can purchase them. Restrictions on accessible cords will mean that many types of blinds and shades will no longer be available to purchase in big-box stores right off the shelf. The biggest change for the window covering industry will occur for ready-made blinds. These lower-end products are either sold as-is or offered as “cut-down” blinds. Historically, cut-down products have excess cord length to be shortened by the consumer to fit their windows, but under the new child safety standard this will no longer be permitted. All ready-made blinds must be cordless or feature inaccessible cords. This leaves some users who still benefit from corded products, including the elderly and those with disabilities. Certain applications with windows in hard-to-reach locations also still require a corded product, as well as windows that exceed the size limits of cordless manual operating systems. 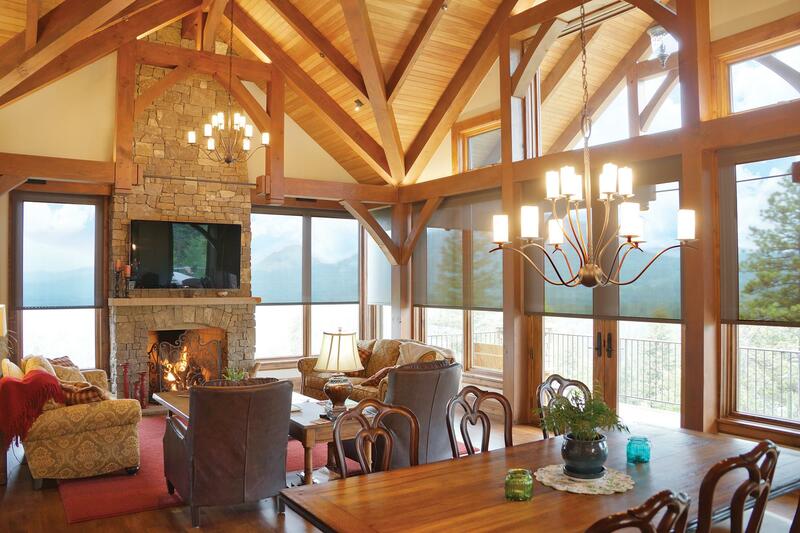 Corded window coverings will only be available on a custom-manufactured order basis. Keeping kids safe takes a village, even when we’re just talking about window shades. It starts with manufacturers who follow the standard and invest in product innovations that make window coverings safer. It takes retailers who are informed about risks and solutions, and who strive to educate their customers and recommend the right solutions for homes and businesses where small children are present. It takes installers who follow safety steps in installing window coverings responsibly and educate their end users on the product’s proper use and safety features. And it takes consumers who consider their options and make smart choices about window covering operating systems that provide a safe environment for children and pets. 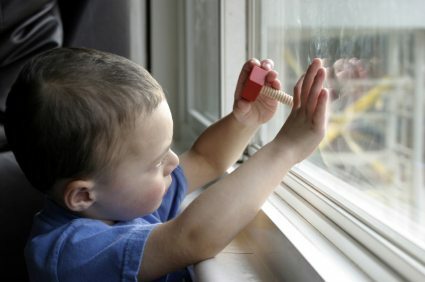 In the end, it takes all of us, choosing to be a part of the solution to end injuries caused by window treatment cords. At Insolroll, we offer a full range of cordless manual and motorized roller shades with no cords that are perfect for areas with small children. These shades do not require any warning labels. We do offer clutch-operated roller shades with a continuous bead chain operator. These shades require warning labels on the hem bar and child-safe tension device options, including our proprietary Metal Select tension device. The Metal Select tension device is not available on any other roller shade brand, and does not include plastic parts that can degrade and break over time. Our strong commitment to safety means that we are perpetually engaged in product innovation to create solutions to build shades that provide the best possible user experience. Learn more at our website: www.insolroll.com. This entry was posted in Child Safety Standards and tagged Window Covering Child Safety, Window Shade Safety.